Unknown until now US private pressing from 1969. Underground psychedelic electric jazzrock/improv sound with mellow folk-rock moves and homemade/basement atmosphere. 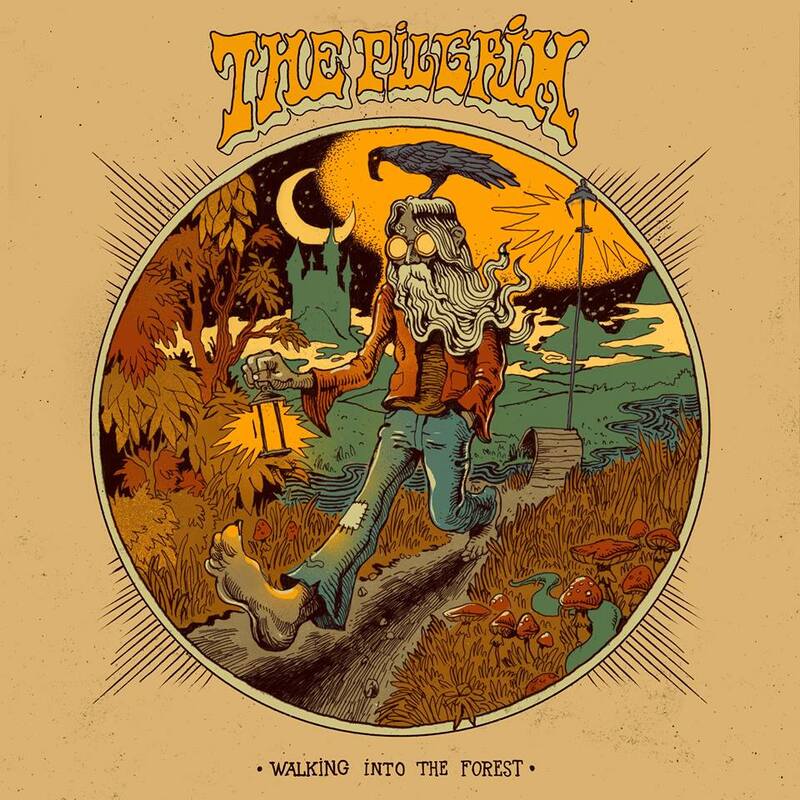 Mostly instrumental with some cut-up vocal sounds and effects. 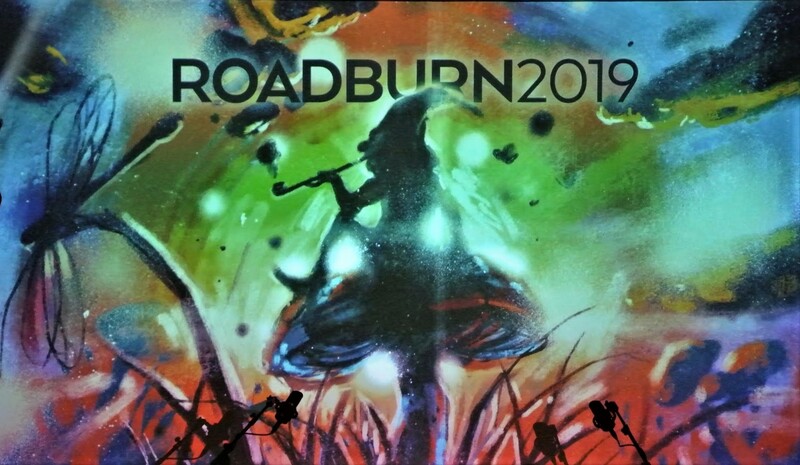 A mix of self-penned songs and amazing cover versions of classics like “Summertime”, “Scarborough Fair” or “A Taste Of Honey” turned into hip, extended jams not so far away from the sound of the pioneering psychedelic ballroom bands from San Francisco. Electric & acoustic guitars, bass, drums, flute… Recommended if you like similar private psych-jazz obscurities like Elysian Spring. Initially born as a blues band, HSO eventually evolved into a true improvisation collective unit. “Slippery When Wet” was recorded in 1969 at Don’s house using a portable recorder operated by their math teacher, the famous old-time music preserver Charles Faurot. 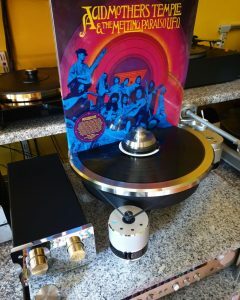 It was a vanity pressing of less than 100 copies, housed in hand-made covers which were distributed among friends and family. 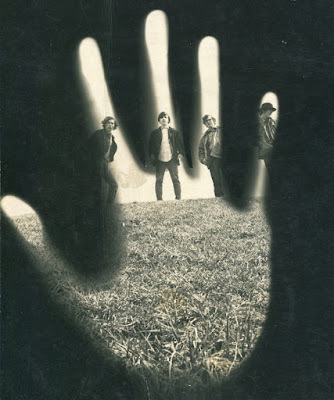 For this, the first ever reissue, original band member and visual artist Gordon Carlisle has designed a new vintage styled cover using old photos of the band. 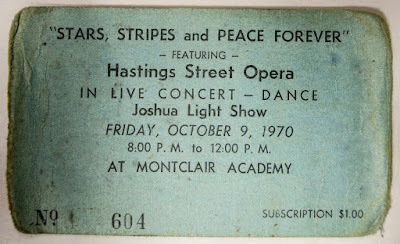 Hasting’s Street Opera was formed in Montclair, New Jersey by a group of young friends (Harry Wellott, Gordon Carlisle, Don Hathaway and Chris Nelson) influenced by blues, rock, jazz and the eclectic sounds emanating from underground FM radio stations. What influenced the band’s sound? Gordon Carlisle (bass): We spent a lot of time listening to the music going on around us, recorded or live. There was so much great music coming out all the time! One of us would hear something new, be it Jazz, Rock or whatever, and if it was interesting, turn the other three of us on to it. 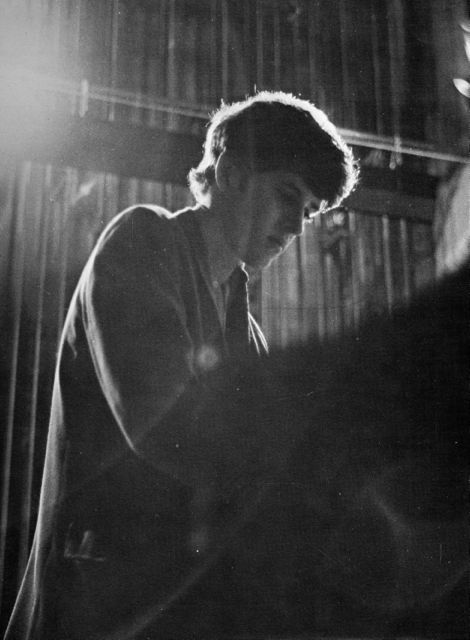 While Don spent many hours practising Classical music, we as a band were more focused on what was new, and who was doing what out there to shake music up. John Coltrane was doing that, for sure, and we liked the way he could take a rather straightforward pop song like “My Favorite Things” and send it into the stratosphere. 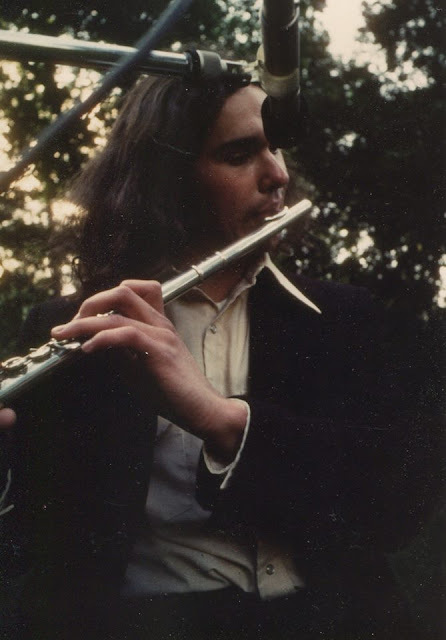 With Don on flute, we naturally had an affinity for earliest iteration of Jethro Tull. I also loved the way Weather Report, the Paul Butterfield Blues Band and the Mothers of Invention were pushing musical boundaries. Countless bands influenced us; most of them forward thinkers who were blurring the lines between musical genres. ‘Underground radio’ was the best way of keeping apprised of what was happening musically. They were beholden to no one, and seemed free to play whatever they wanted. As a band, I think we found this idea of freedom through music very enticing. Christopher Nelson (guitar): Here’s a partial list of some of the influences from the bands that were, because of the nature of the times (no formulaic broadcasts, plus record companies that routinely took chances on new sounds) surrounding us at any given minute. There’s no order to the list just as there was no order to the listening of the influences but instead a total ongoing immersion in all of these sounds. Read the list carefully and imagine how this might happen today. Junior Wells, Howlin’ Wolf, Buddy Guy, Terry Riley, Modern Jazz Quartet, Oliver Nelson, Grant Green, Steven Stills (“For What It’s Worth” was probably the first hit to feature guitar harmonics as a lead), Alvin Lee, Miles Davis, Hendrix (his performance of the National Anthem at Woodstock catapulted him as unequaled), Andrés Segovia, John Williams, Mick Abrahams, Martin Barre, Sweetwater, Quicksilver Messenger Service, Wes Montgomery (he brought ‘parallels’ into the mainstream), Argent, Mahavishnu Orchestra, Paul Butterfield, Mike Bloomfield (who can forget his solo in “Another Country?”), Garcia and Lesh, Cassidy and Kaukonen, Brubeck (Jazz at Oberlin), Weather Report (Live in Tokyo), Tony Williams, Elvin Jones, Blues Project, Samuel Barber (my first ‘pull the car over I have to know what this is’ was Bernstein conducting “Adagio for Strings”. I had never heard harmonic structure and progression like that), Aaron Copeland (his soft landing at the end of “Appalachian Spring” has no equal in resolution and inspiration), Clapton, Santana, T-Rex, Herbie Hancock (Maiden Voyage changed everything), Stravinsky, Chick Corea to name just a few. All this music was literally in the air, so we could listen, learn, pick and choose, and experiment. We didn’t have to research it as you might today. It was all just there, everywhere. Hard to describe in today’s context. Harry Wellott (drums): I feel the band’s sound was most influenced by the concept of collaborative improvisation as opposed to specific musicians or style. Whatever we were listening to at the time was brought to bear and incorporated into what we were playing. So, for example, if we had just heard an Indian raga that may have shown up in an improv. I personally listened a lot to WLIB which was a jazz station broadcast out of New York. We shared what we were individually listening to and many get togethers included all of us bringing stuff for the other band members to check out. 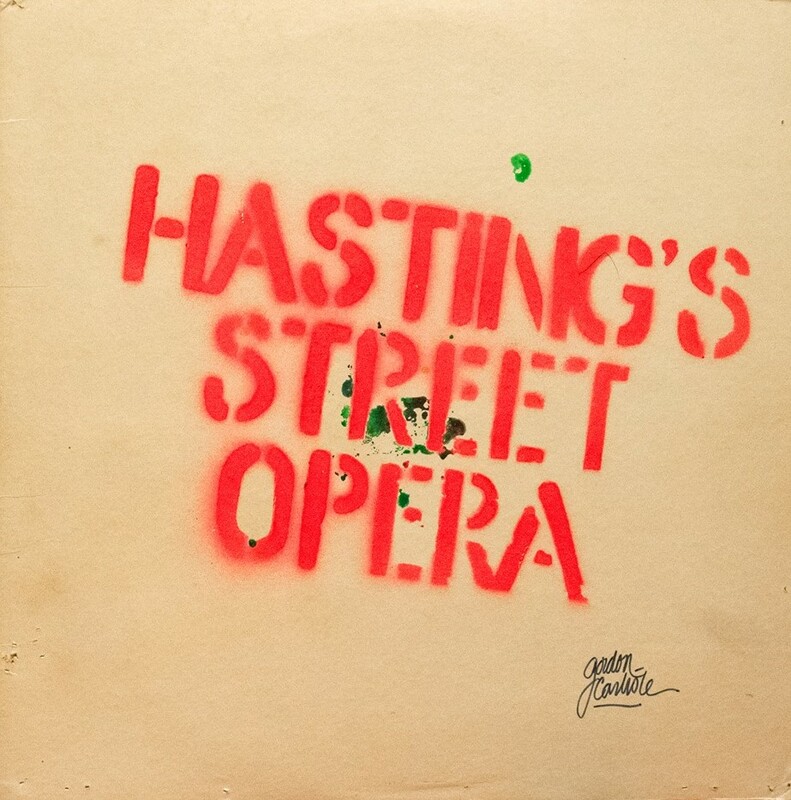 How did you decide to use the name “Hasting’s Street Opera”? Gordon: Either Chris or I came upon this old blues compilation with the cut “Hasting’s Street Opera” on it, in two parts. This guy Detroit Count was basically rapping over a twelve bar piano blues of life up and down Hasting’s Street in Detroit. Even though it had nothing to do with our lives in suburban New Jersey, we liked the cut, the feel and especially the ring of name. So, when it came time to call ourselves something, we chose “Hasting’s Street Opera.” Our friends called us “the Opera” for short, which I always found funny. Vocals were not exactly our strong suit. Christopher: My first guitar was Fender Jazzmaster that I bought used from a bass player on Park St. in Montclair whose name, I think, was LaTouch. The story went that the body was repainted white at an auto body shop after the guitar received a 22 slug at a rowdy sing-a-long… As I recall there was evidence of this fact when I removed the pick guard to do some electronic work. The Jazzmaster interestingly had 2 fewer frets than normal (as in a Strat) which probably explains why it was never the guitar of choice for the rockers going forward. Again I would defer to Gordon’s response only adding that for a brief period we did have Bob Brogan as our drummer when we were primarily playing Blues. Gordon: Sure! Some bands appealed more to us than others, of course, but we saw how much fun they were all having and wanted to be a part of it. We studied these local bands in church basements and high school dances, and saw both what we wanted to do as musicians and what we didn’t. I knew, for instance, that I wasn’t all that interested in covering the popular Rock hits of the day. The local bands I liked were the ones who covered the more obscure songs, and who really took solos, as opposed to note for note copying. Christopher: Yes. Russell Roche had a blues band that I briefly crewed for when they would do Saturday afternoon gigs at the Cafe Wha? in New York City. He was a lead guitarist who showed me the beauty of economy in his leads – not too many notes, but all good ones. My neighbour Steve Burgess was a great influence being a fine player and entertainer. He went on to be a top musical artist agent. 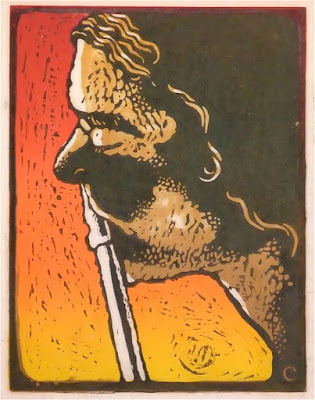 Then there was the time – remember this was in the hay day of garage bands when music could appear anywhere at any time – when a jam session started a few doors down on my street. I brought my guitar, but laid out when so obviously not in the league of the guitarist playing that night. Turns out it was Joe Walsh (his local band at the time was “The Chessmen”) and the drummer was from Spanky and Our Gang. Learned a lot, but could never play like Walsh. Harry: Absolutely! Music was all around us. You can in part credit the influence of the Beatles. Prior to the Beatles playing on the Ed Sullivan show in February of 1963 there was probably a rock band in every town. Six months after the Beatles played on Ed Sullivan there was a rock band in every neighbourhood. So there were lots of musicians playing new venues such as churches, coffee houses, neighbourhood basements, local “battle of the bands” competitions (that’s where I first heard Chris and Gordon) and numerous outdoor venues in the summer. Most bands did strict imitations of the hits of the day, but we preferred to have a more free form approach. That not only fit our collective personality but set us apart from what most local bands were doing. 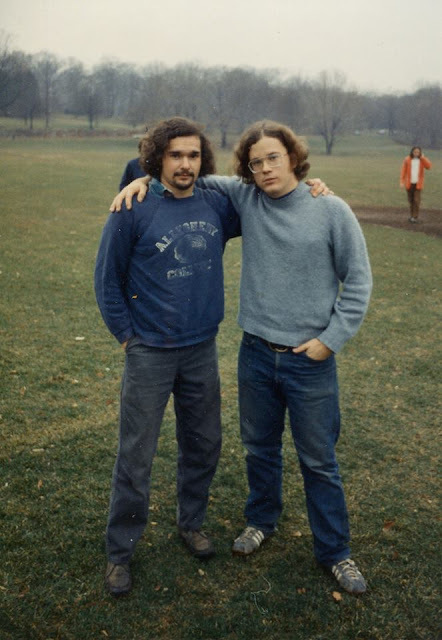 Gordon: At summer camp, one kid taught everyone in our cabin how to play Van Morrison’s “Gloria” on acoustic guitar. 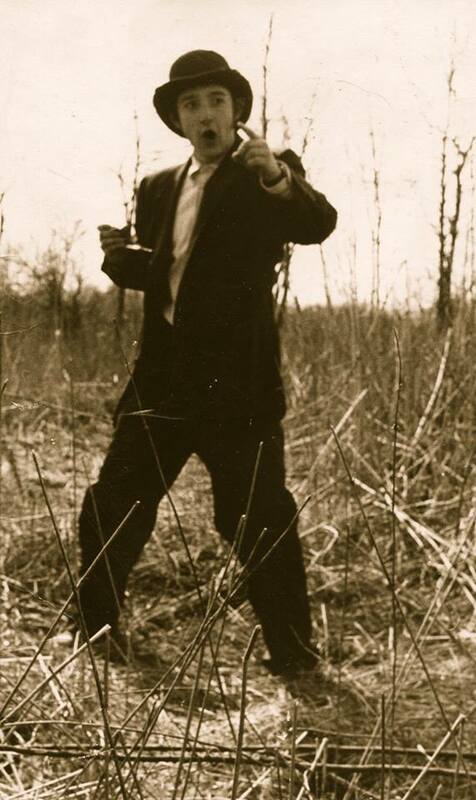 Once we had that, he taught us Barry McGuire’s “Eve of Destruction,” (which my mother hated). That’s how it started. But I wasn’t so much interested in playing other people’s songs as making up my own. I came up with a couple of songs for Hasting’s Street Opera, but really, we were more of an improvisation outfit. Christopher: My neighbour, who owned a music store, brought home a nylon string Giannini guitar for me to try. I was 12 at the time. Loved it. Still do. Harry: I first started playing bongos in 8th grade. My uncle, who was in The Air Force was stationed in Bermuda and brought me a set on one of his visits to my family. I banged around on them, finally putting them to use, playing in a typical music appreciation class in junior high school. I played with a guitar player friend of mine and we played “Wipeout”, “Pipeline” and an old standard “Moon Over Miami”. We later formed a band together that lasted for a couple of years, playing local schools and churches. 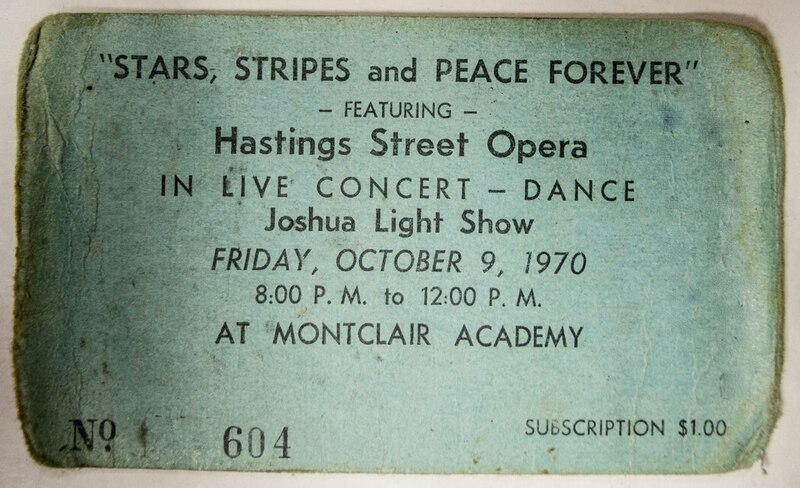 What bands were you a member of prior to the formation of Hasting’s Street Opera? Gordon: None. 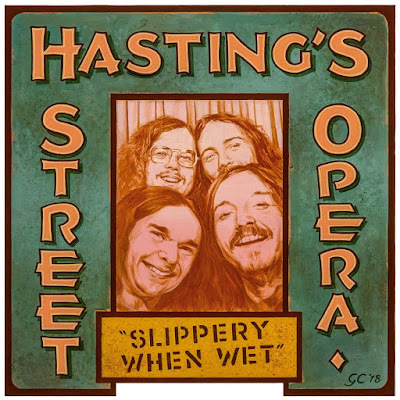 Hasting’s Street Opera was my first band. Harry: I played in a band from 8th to 10th grade called “The Condition”. It was a cover band playing mostly Cream and Hendrix material. Not very inspiring, but a necessary step to get to a more improvising approach like Hastings Street Opera. 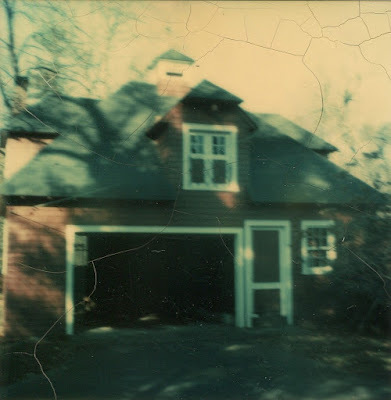 Slippery When Wet was recorded in 1969 at Don’s house using a portable recorder operated by their math teacher, the famous old-time music preserver Charles Faurot. It was a vanity pressing of less than 100 copies, housed in hand-made covers which were distributed among friends and family. What are some of the strongest memories from recording it? Gordon: It was summer, and I think Don’s family was away, so their living room was a great place to record. I don’t remember much about the recording, except that we saved “Summertime” for last, when all was dark outside and in, except for the glow of lights on our tube amplifiers. We switched locations for Woody’s song, “Think of Me.” That was done at my house, where my parents had an old upright piano. I’ve always loved Chris’s guitar work on that song, and I seem to remember him nailing it in one or two takes. Christopher: I was nervous. I would hear ‘recording’ and my palms would sweat. But as always, Gordon, Don and Harry provided the inspiration they always did when we played so it became a matter of just exploring the songs. I think Gordon mentioned that we started recording during the day and went into the night, with no light in the house. I know he’s right, because for the life of me I can’t remember much eye-to-eye contact even during the day, but more simply note-to-note contact. Harry: While Gordon and Chris had played together for quite some time, Don and I joined the band that spring and the recording was done that summer. The interesting point is our group sound was still being worked out so there is a sense of freshness and discovery to the recording. Gordon: We were trying things out, and as such, some things probably held up better than others. “Scarborough Fair,” “A Taste of Honey” and “Summertime” were all popular tunes in the ‘60’s, and we were trying to do what the Jazz guys did. That is, adapt the song’s head and use it as bookends for spells of soloing and improvisation. 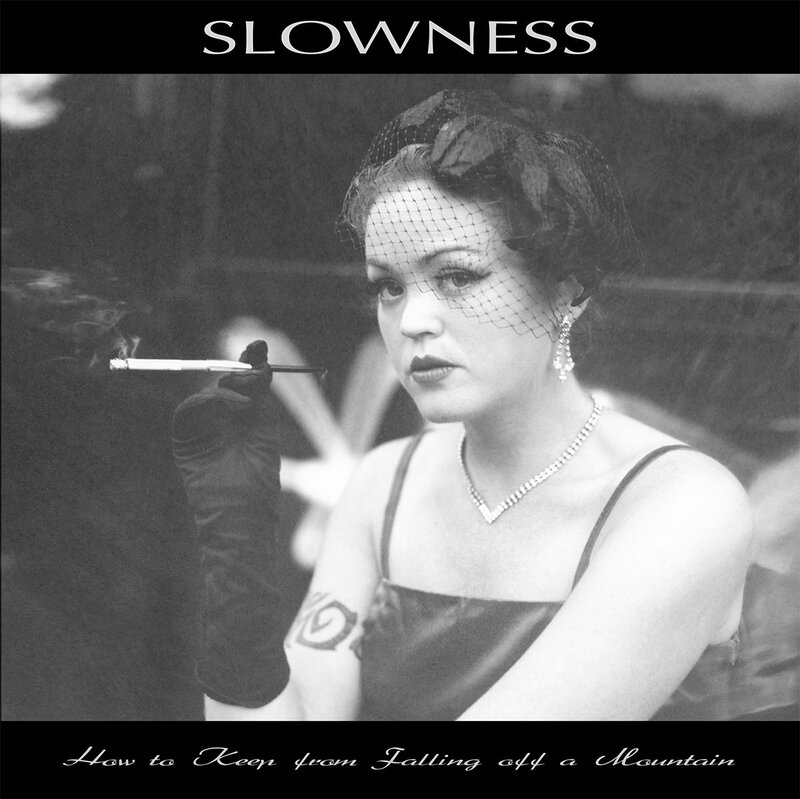 We had a silly streak in us, too, which we thought worthy of inclusion on the album. Woody’s “Think of Me” is the closest we get on the record to playing a straight song. Don’s not on there, either, so it doesn’t really reflect who we were as a band. Lovely little cut, though, isn’t it? Christopher: The tracks represent a fair cross section of where the band was at the time. Gordon was – and probably still is – the greatest natural bass player I’ve ever heard, able to morph into any musical idiom at any time. This was important, because Don was classically trained and on his way to the New England Conservatory, Harry was studying with Elvin Jones, a testament to his incredible talent, and I think a predilection toward Jazz, so I think Gordon coalesced these influences, and I simply followed along. I know that I was heavily influenced by Grant Green which was tough for a wannabe rocker! “Dropping the drumstick was louder than your solo!” was a remark at one time. But the influence worked in “Think of Me” where I admit I was, at the time, most comfortable with that style. 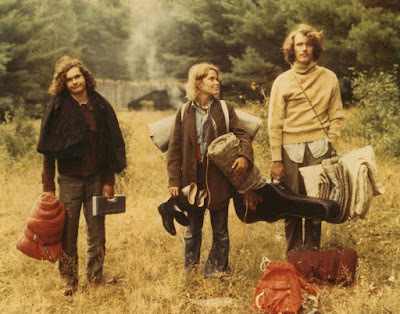 Overall, the inventiveness of Harry, Don, and Gordon was what drove me – the incredible jams! Harry: Honestly, we played what we knew. Since this iteration of the band had not been together that long we didn’t have a long list of material to choose from. What we did have was a good idea of the creative, forward thinking approach we liked to take with the music and the interwoven interplay sense we had with each other. Hopefully that comes across to the listener. Gordon: Not really. We didn’t want to labor it with overdubbing and stuff. We just wanted to have fun, keep it simple and be true to ourselves. Christopher: I don’t think there was. The motivation to do the album was to not only satisfy our desire to record, but to also satisfy the demand from our live gig audiences that always wanted a takeaway. Harry: Keep it simple and do our best to bring the audience along the musical journey that was the essence of each cut. Did you ever perform for a live audience? Gordon: Yes, many times. We had a good circle of friends who enjoyed following us around. Being improv-based, we knew very few songs, and they were all in the Jazz-Rock vein. As such, we were a terrible dance band. It amazes me that we ever got paid for playing at those so-called “dances.” Intimate venues appealed to us most, and maybe our favorite place to play was on the second floor of a friend’s old barn in town. We always looked forward to playing there New Year’s Eve, counting down the seconds and kicking off the New Year with a big, loud song. Christopher: Again, Gordon covered this in his interview. The sessions at “The Barn”, as he describes, were the best. I will always associate Quicksilver and Cippolina and “Who do You Love” with that place. GREAT sessions there! Harry: Yes, quite often. Because we had a distinct identity we had a loyal group of friends that supported us. We didn’t play dance venues, opting for self sponsored locations which was fine with us. What happened after the band stopped? Is any member still involved with the music? Christopher: After moving to Miami for work reasons, I became involved with a band that I think Gordon mentioned in his response having sat in on one of our gigs. I’ll talk more about this in the next question. I’m sorry to say that we haven’t been able to find Don, so have no idea if he’s playing. Gordon continues to play as he mentioned in his interview as does Harry with the incredibly inventive (surprised?) Aardvark Orchestra in Boston. I continue to play and compose with acoustic open tuning guitar. Harry: I continued playing improvised based music and do that to this day. After HSO disbanded I studied with Elvin Jones, drummer for John Coltrane and one of my musical idols. I dabbled in World Music, briefly studying tabla at the Ali Akbar Khan school and playing in a Javanese Gamelon. 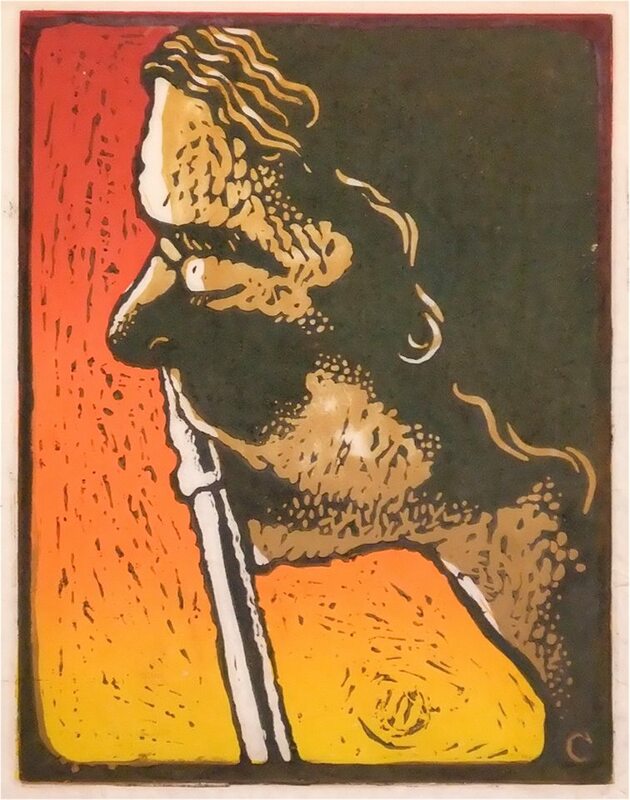 In college I played with a jazz rock quintet that performed original music, playing clubs as well as serving as the opening act for diverse groups from Fleetwood Mac to the Joe Farrell Quartet. I then played with a free form jazz quartet “RIBS”, playing improvised concerts around New England as well as performing live improvised sound tracks for silent films. For the past 30 years I’ve been part of the Aardvark Jazz Orchestra, playing everything from New Orleans to avant guard, mostly original music written by band leader Mark Harvey. I’ve continued playing live improvised sound tracks for silent films, performing with FilmProv, this time working with original films by film maker Kate Matson. Gordon: High School and I did not get along, so the band was my highlight. High School seemed to me like nothing more than a springboard into the big, straight world ahead. While soccer helped me deal with all my pent up anger and frustration, the band offered creative escape. It was the antithesis of memorized formulas. It represented a kind of freedom. For it to work, we had to listen to one another and let the music lead us. Christopher: JAMMING! As a band we were really good at improvising, I guess very much in the Dead tradition of exploring the song but always returning home to the fundamental. I particularly learned this when I moved to Miami and formed a band in the early 70’s that performed covers and wrote a few originals. This is the band that Gordon sat in with when he was in Florida. But I must say, only a handful of times in the few years the band played did improvisation appear near the level that it did at HSO. Improvisation is a state of mind that clearly HSO enjoyed. Harry: Having those moments when I was playing the music and the music was playing me simultaneously. At times the music seemed to play itself and have a will of its own. It was up to me to dial into that magic and not get in my own way. What are some of your favorite memories from band and the 1960s in general? Gordon: Favorite memories: hopping on the bus to New York City once in bare feet to catch bands. Man, we saw some great acts there! With shoes and socks on I was mesmerized by Ravi Shankar at Carnegie Hall, dazzled by Jimi Hendrix at Hunter College. My girlfriend’s older brother wanted to see Sam and Dave at the Fillmore. I tagged along reluctantly, only to be totally blown away by that band. We saw Big Brother and the Holding Company with Janis Joplin, and the Grateful Dead performing what they later released on record as Live/Dead: unforgettable! You know, in my teenage naïveté I actually thought some of these musicians we followed were visionaries, Avatars even, who would guide us all to some transcendent future we could hardly imagine. Ah, youth! Christopher: Easy access to music, and relatively (by today’s standards) easy access to forming a band and playing. Also the venues for non-professional bands were far more numerous than today (churches, coffee houses, neighbourhood homes, etc). There was a genuine excitement to the music because it was everywhere on the airwaves and on affordable records. The Fillmore East was even affordable for a high school student. And if you couldn’t get in, you did what Gordon and I did a number of times, listen by the stage door that was always conveniently open. Somehow more than today, music then was a messenger of joy, awareness and connectivity. So less formulaic and sterile than the releases of today. Don’t get me wrong, still great stuff coming out now, but you have to hunt for the good ones. So many were great in the 60’s. Harry: That’s an easy one – Discovery and Experimentation. Guerssen will be reissuing your album (more info). How do you feel about the fact that your music will be available worldwide after so many years? Gordon: Great! I never dreamed this would happen. In fact, I never thought I’d reconnect with these guys in the band again. Hasting’s Street Opera, for me, was just a distant memory. Every once in a long while I’d haul out the cardboard box with the old photos of us in it, get a chuckle and put it back again. While I have maybe three copies of the original LP, I haven’t had a turntable in years. 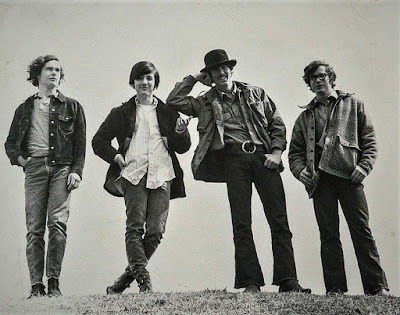 So, it’s been wonderful to finally hear this music again, 50 years on, and connect with my old pals. I did think the occasion called for a re-do of the album cover. I closed my eyes as I listened to the music again, and the image that came to mind was of our four instruments circling around us in the sky. Who knows if anyone will respond to our little slice of life from the late ‘60’s? It’s very special to me, anyway, and I’m indebted to Alex for making it happen. Christopher: In the context that the album was a high school band recording, I see it as an interesting time stamp of the era. It is a live recording with no overdubs or corrections so as such is an honest expression of musical ideas resulting from the convergence of so many wonderful musical influences that were there at the time. I hope the band’s liberation of musical thought comes across. Harry: I feel very fortunate and grateful to Guerssen to be a part of this effort. I tell folks, both friends and people I’ve just met the story of what’s going on and I always get the same reaction – A BIG SMILE. It’s been truly wonderful to not only reconnect with Chris and Gordon, but to be able to work on something collaborative again. I guess now you can say the three of us go way back and come way forward! How often do you ever get to do that? Gordon: No, not to my knowledge. Harry: No, not to my knowledge. Gordon: Thanks for your interest, Klemen! Christopher: Well, improvising and hitting it just right with the other band members is an unequaled joy. It happened so often with HSO. Will never forget. Harry: Thanks Klemen Breznikar and a huge thank you to Alex Carretero!